There’s no getting away from the fact that our dependence on energy increases daily. With energy-dependent technology driving our lives, ecologists continue to search for ways to save our environment. In fact, 30% of the charges on your electric statement stem from your appliances. Focusing on energy-efficient appliances is one way to do that. In simple terms, this means the process that is used to make the appliance function is using less energy. How can you be sure you’re getting the best product at the most cost-effective price? 3. Select the right size appliance. Running a large machine, even the most energy-efficient one, uses more electricity than a compact one. 6. Contact your utility supplier. 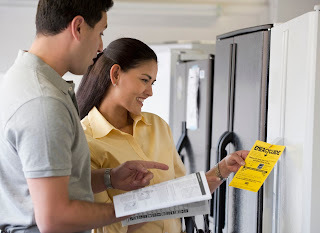 They can help you with the latest ways to save on utility charges. With today’s smart devices, appliances can be programmed to use less energy at certain times of the day. Amazing and helpful blog it is. At present it is very necessary. Enjoy these beautiful diamond tiger painting.